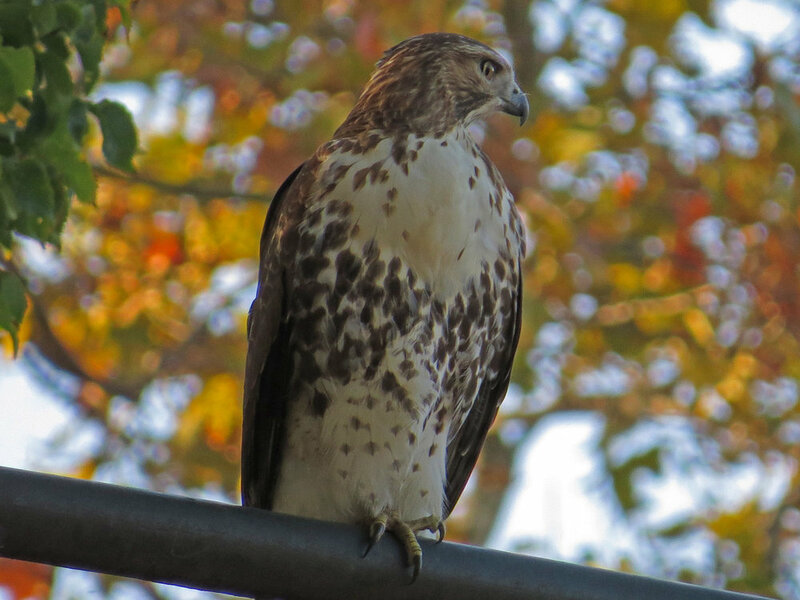 Sunday we were so delighted to see four hawks in the Bethesda Fountain/Bandshell/Elm Grove (Literary Walk) area of Central Park. Our first sighting was Sheep Meadow Mama, whom we hadn't seen in a very long time since her nest blew down in Sheep Meadow last winter. 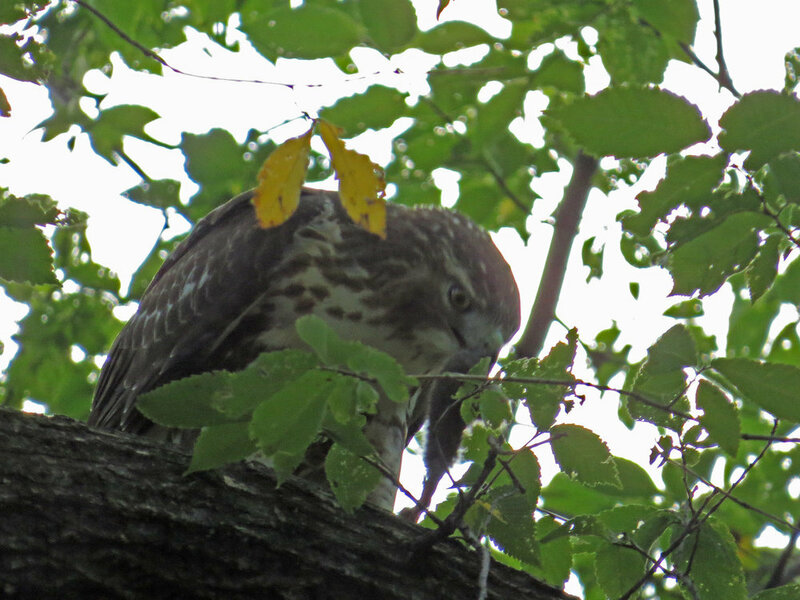 She was flying around, chasing out a first-year red-tailed hawk that was in the west elm grove. The youngster flew north of the Bandshell and settled in a tree for a while before moving to a streetlight over Terrace Drive. After watching this kid for some time, my friend went to see if Sheep Meadow Mama was still in the grove. 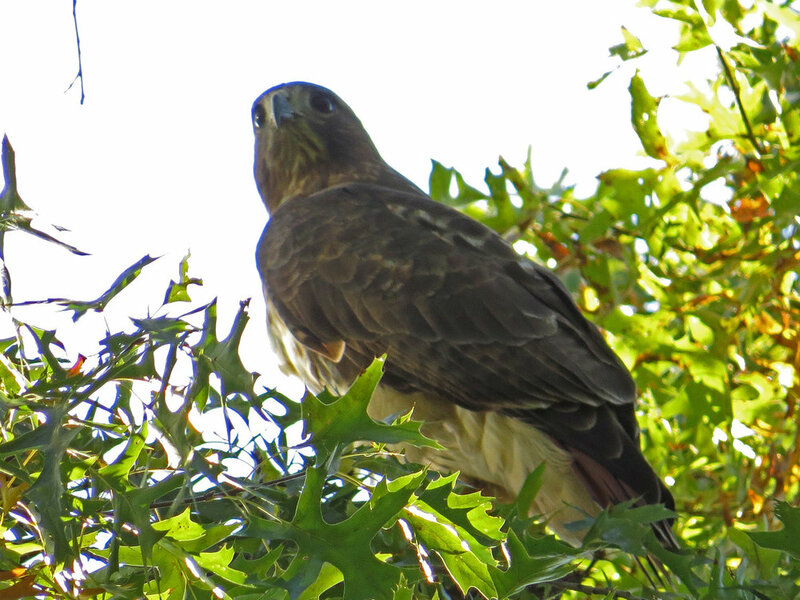 Instead, he found another first-year hawk in the east grove. 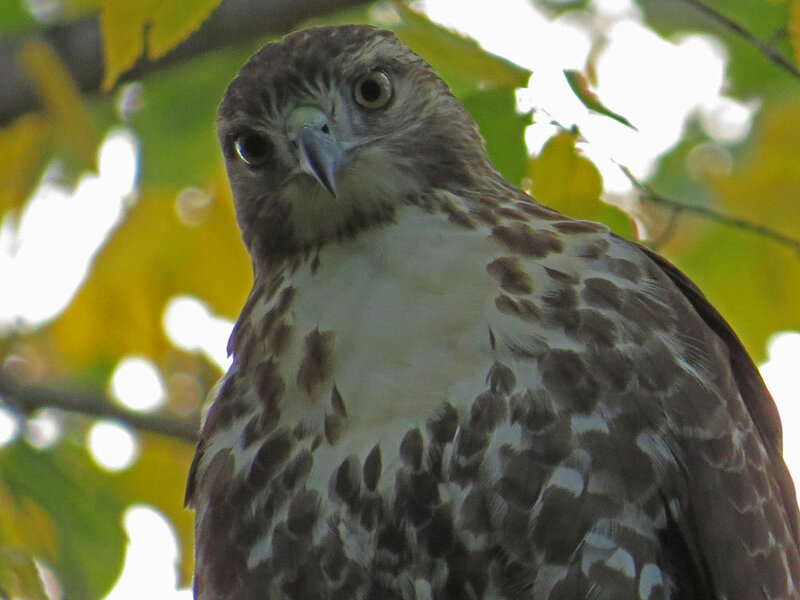 The second hawk flew to another tree just south of the Bandshell, caught a rat down in the ivy, flew back to the east elm grove, and ate the rat. When finished, the kid flew east of Bethesda Fountain. We heard a very loud kier, saw the youngster fly west over us toward Sheep Meadow, while Octavia (Pale Male's mate, a hawk with a very loud cry) flew north. The video really shows the two kids. We wondered if they were siblings, since they both have the very long "eyebrows" and very similar head shapes. This first gallery is of the first youngster we saw. This is the second kid, including a fuzzy shot of the meal.